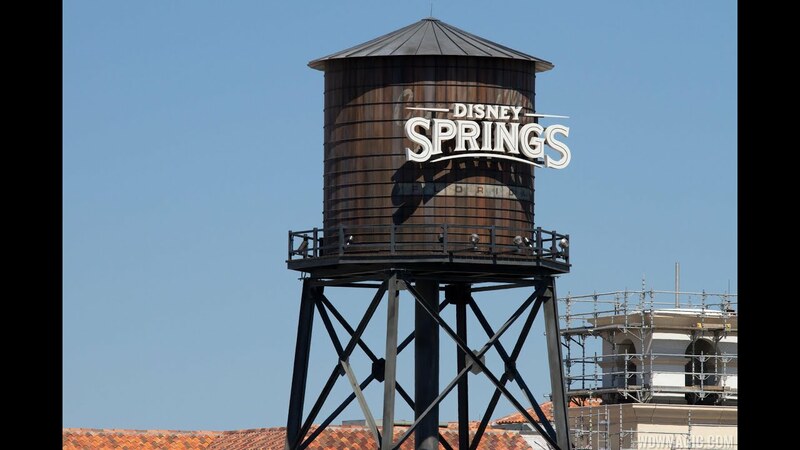 Jun 16, 2017 in "Disney Springs"
Disney Springs has special merchandise and dining offers to celebrate Father's Day at Walt Disney World. Here is the line-up. Coca-Cola Store: Pick up a Father’s Day commemorative Coke bottle, only available at Disney Springs. The Ganachery: Gift a special pairing of Knob Creek bourbon with a chipotle ganache square. Senses - A Disney Spa: June 16-18, noon-9 p.m. daily, stop by Twenty Eight & Main to pamper Pops from head to toe. A special in-store bar will also serve beer. Sprinkles: The DAD box, featuring a variety of cupcakes, is available through June 18. Sublime Gifts & Finds: June 11-18, save 15% on all Dad books by Compendium Publishers. Tommy Bahama: Through June 18, get a $50 award for every $175 spent. Under Armour: Mark your calendar for the Gear Up for Father’s Day event on June 10, 10 a.m.-2 p.m. Enjoy a live DJ, small bites and a free golf towel with $100 purchase. Paddlefish: Treat Dad to surf and turf with a 20-ounce porterhouse steak, jumbo Gulf shrimp and double stuffed potato paired with wine and red velvet cake. Morimoto Asia: Celebrate dad this Father’s Day at Morimoto Asia with a complimentary pint of Crooked Can Brewing Company’s finest Barrel Breaker Lager, free with the purchase of an entrée. STK: Dads receive a complimentary POP-sicle (bourbon in a champagne glass with an orange bitters ice cube). Just for Father’s Day, choose a dry aged prime New York strip with house tater tots, scallions and bourbon-peppercorn sauce. Raglan Road Irish Pub & Restaurant: Dads receive a free pint with the purchase of an entrée. Wolfgang Puck Dining Room: Enjoy a 16-ounce ribeye steak, Yukon gold roasted potatoes and a port wine sauce. DisneyQuest: From June 16 through June 18, save 50% on tickets after 5 p.m.